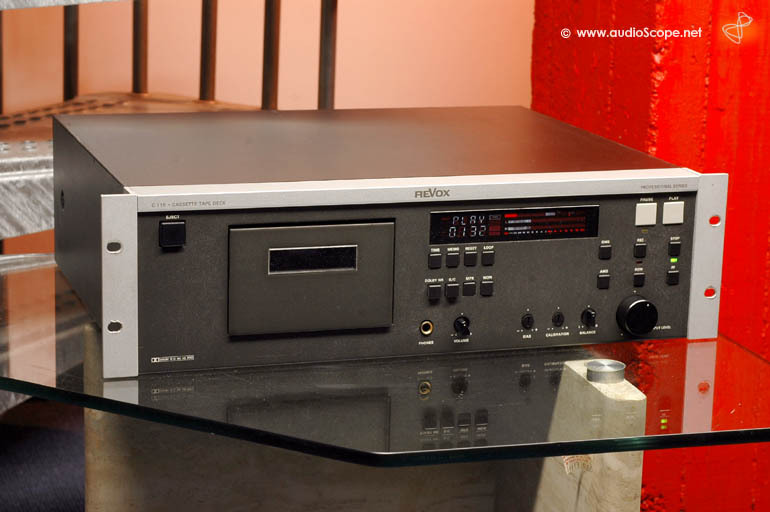 Revox C 115 Professional Cassette Recorder for sale. 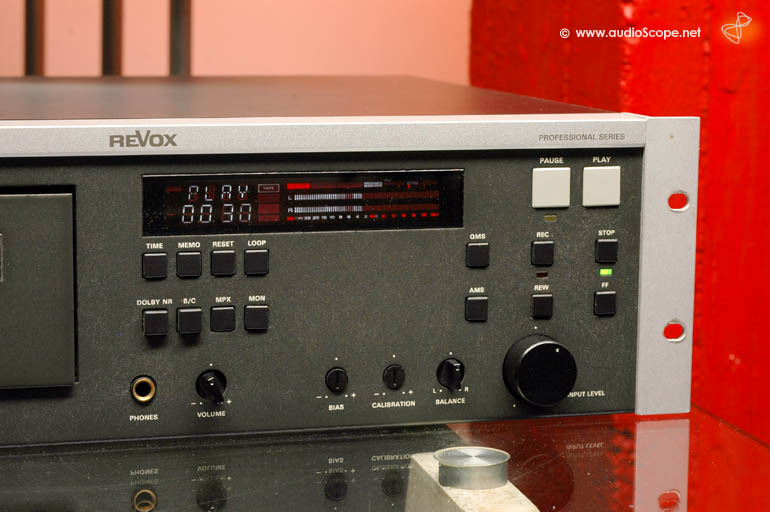 Revox Professional Line Cassette Recorder for broadcast use. 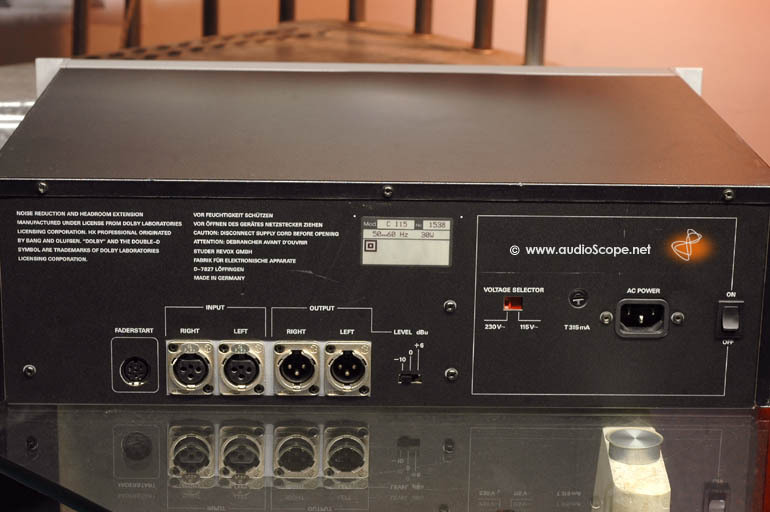 This unit features 3 heads, ever lasting direct driven dual capstan mechanism, XLR connections, Dolby b & C noise reduction, HX-Pro headroom extension, faderstart for broadcast and different programming features. Tape calibration is possible on the front panel. Technically, the unit is in fine condition. You will find minor wear from rack mounting. The display is a little uneven in its brightness, but this does not affect the readability and functionality at all. 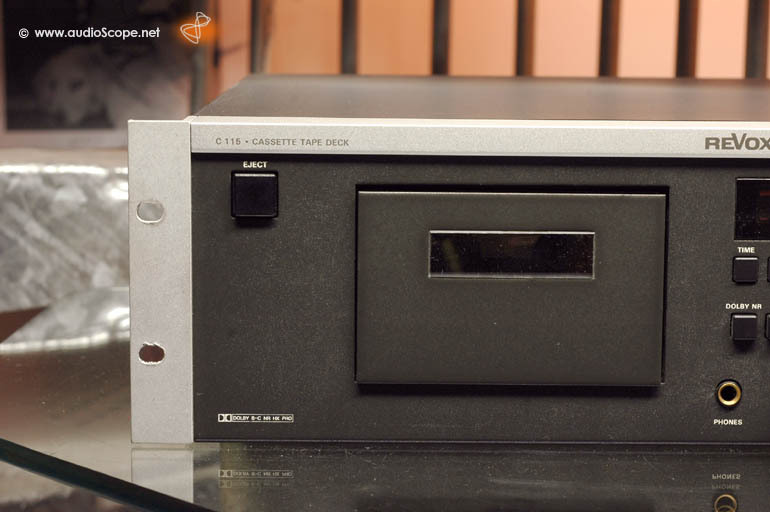 All in all, an excellent cassette deck for everyday use with best possible results. Perfect reliability. Voltage selector, 115 and 230 volts AC.